ZenGuard Review: Works As Advertised But How Does It Compare? Today, there are more choices than ever when it comes to buying a snoring mouthpiece. In fact, there are currently well over thirty mouthpieces to choose from. The recent introduction of the ZenGuard by ZenSleep has made the decision of choosing a mouthguard even more complex, as it has added to the growing list of anti-snoring mouthpieces that are available. 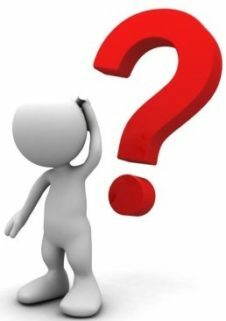 Perhaps the best way to narrow down the number of choices is to first decide between a Tongue Stabilizing Device (TSD), also known as a Tongue Retaining Device (TRD) and Mandibular Advancement Device (MAD). One device works by holding the jaw forward to open the airway while the other holds the tongue forward, having the same effect. 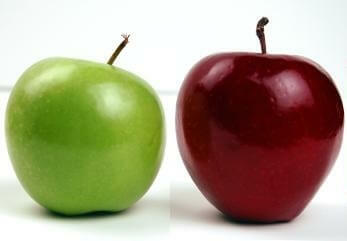 When deciding between the two, the primary consideration should be your ability to breathe freely from your nose. Those with unobstructed nasal passages may choose either a TSD or MAD. If nasal breathing is not an option, a MAD may be a better choice because they are typically designed with an air hole which permits mouth breathing. Those with chronic sinus issues should only consider a MAD with a breather hole. So which one works better – The MAD or TSD? The answer to this question is that they are both effective and for those who are able to use either, it mostly comes down to the features that each offer. Over the past 4 years, I’ve tested nearly every mouthpiece available and have written about my experience with each. To help make the decision easier for my readers, I have created a table summarizing the mouthpieces that I have reviewed as well as my recommendation based on factors such as comfort, ease of use, cost, and credibility. What Do We Know about the ZenSleep, the Company Behind ZenGuard? In the evolution of TSD’s first, there was the aveoTSD then along came the Good Morning Snore Solution followed by the Pacifier and now we have the ZenGuard by ZenSleep. When reviewing a product, I always begin by examining the company who produces and sells the product. ZenSleep’s Facebook page does state that the company was founded in December of 2014. The company lists a contact phone number of (800) 278-0150 as well as hello@zensleep.com as the email address. I was unable to find much information regarding the identity and credentials of the creator of ZenSleep. The ZenGuard is one of several products offered by ZenSleep. The company also sells the ZenVents (Nose vents), ZenStrap (Chinstrap), ZenMask (Facemask), and ZenPlugs (EarPlugs). In addition, they offer an “all-in-one” kit which contains one of each mentioned item. This device is considered a TSD because it attaches to the tip of the tongue and holds the tongue forward to prevent snoring. There is nothing revolutionary about the design of the ZenGuard. Similar TSD’s have been in existence for well over a decade now. TSD’s have been studied for years and according to this study recently published in the Journal of Dental Sleep Medicine, TSD’s are just as effective when it comes to treating mild Obstructive Sleep Apnea (OSA) as MAD’s are. OSA and snoring are often closely related as many who snore also have OSA. In order to better understand exactly how the ZenGuard works, it’s important to first know exactly why we snore. In most cases, the sound of snoring originates from within the airway. As we age, our airway becomes less toned and loose. This issue is often more pronounced in people who are overweight as excessive neck fat can apply pressure against the airway. While asleep, the tongue falls into the back of the throat, the jaw relaxes and falls back causing the muscles surrounding the airway to relax and loosen up. Now imagine what the inside of an airway that is loose and relaxed may look like? It becomes narrow and often times partially collapsed. As air rushes past a collapsed loose airway, loose tissues vibrate and collide with each other. The colliding tissue creates the familiar sound of snoring. A relaxed airway can collapse and may obstruct breathing. The ZenGuard holds the tongue muscle forward to help clear the airway and prevent snoring. Take a quick look at the anatomy of the human airway. It’s easy to see that the muscles surrounding the jaw and tongue connect to form a point in the Oropharynx area. This is the area that becomes narrow and is the site where the sound of snoring typically originates. Now, imagine if you were to pull and hold the tongue and the associated muscles around the airway forward. Doing so will tighten the tissue, open the airway and allow air to flow unobstructed. Unobstructed breathing = no snoring. TSD’s, such as the ZenGuard perform this task which in turn prevents snoring. MAD’s, the TSD’s sister device, also performs the same task of pulling and holding this muscle group. These devices actually fit entirely inside of the mouth between the upper and lower teeth. The ZenGuard is a soft, silicone-like bulb device that you squeeze and place onto the end of your tongue. At the front end, “wings” protruding from both the upper and lower sides. These wings rest on the outside of the upper and lower lips and prevent the tongue and device from falling back into the mouth. Without this feature, this TSD would be useless as it would not hold the tongue forward and tighten the airway. The opposing end of the bulb is open and is the entry point in which the tongue is inserted. There is a “V” notch cut into the bottom of the device to accommodate for the Frenulum which is the piece of skin between the bottom of the tongue and the floor of the mouth. When inserting the ZenGuard onto the tongue, it’s important to face this notch down. The ZenGuard closely resembles another product that I have reviewed called the aveoTSD. It was developed by a New Zealand orthodontist and sleep medicine expert, Dr. Chris Robertson. The aveoTSD is, however, a prescription-only device that is available through your dentist or physician. What Type of Material is It Made From and Is It BPA Free? One important consideration to examine is the type of material a mouthpiece is made from. It’s important to understand what type of material you are putting into your mouth each night. Reputable manufacturers will construct their mouthguards from medical grade silicone, typically USP Class IV. In addition to knowing the type of material, you should also know whether or not the device contains BPA, a synthetic compound that has been used in a variety of products from water bottles to can linings. 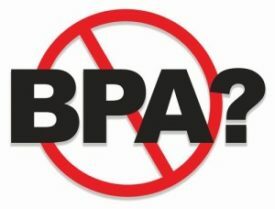 While BPA’s are still being widely used today, the use of BPA’s remains controversial. How Much Does ZenGuard Cost? 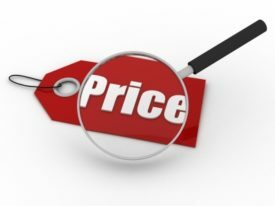 When deciding which snoring mouthpiece to choose, an important consideration for many is the price. The ZenGuard sells for $97.00 USD with free US Shipping. It appears as if they only sell the ZenGuard in the United States. TSD’s and MAD’s that are used for snoring are considered class II medical devices by the Food and Drug Administration (FDA) and technically speaking, require a prescription. Prior to bringing a product to market, the manufacturer must first file the appropriate paperwork with the FDA. The FDA must “clear” a product prior to being authorized for sale. On the FDA website, you can search their database to see if a product is registered with the FDA. A quick search did not reveal any results for the terms ZenSleep or ZenGuard, although this does not necessarily mean that it’s not cleared as it could have been cleared using a different name. When the ZenGuard arrived, it appeared exactly as pictured on the website. The material seemed durable yet soft and flexible. Overall, I found the Zenguard to be a well made, quality mouthpiece. As with all other mouthpieces that I have tested, I tried the ZenGuard for a total of two weeks and documented the results each morning. I’ll start by mentioning that if this is your first time using a TSD, you will likely notice that your tongue will be slightly sore in the morning and you may even drool while asleep. This is completely normal and should go away with time. I’ve been using both a TSD and MAD for several years now, so I no longer experience such issues when using an oral appliance. During the testing period, I found the ZenGuard to be effective against my loudest snoring. It did, in fact, stop my snoring as advertised, but this comes as no surprise as I have found TSD’s to be effective in the past. How Did The ZenGuard Compare to Other TSD’s? 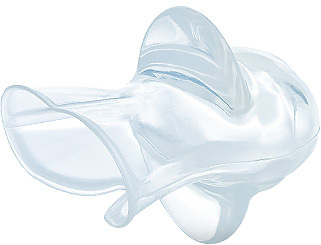 The aveoTSD is a tongue stabilizing device that has been around for over a decade now. In fact, it’s believed that the aveoTSD was the first TSD to be brought to market. The aveoTSD is also a product that I have tested and had experienced satisfactory results. The ZenGuard is very similar to the aveoTSD but unlike the aveoTSD, ZenGuard can be purchased without visiting a physician. The Zenguard can be purchased directly from the ZenSleep website without a prescription. Aside from one being prescription based while the other isn’t, there are a still a few difference between the two. The aveoTSD was developed by a physician and has numerous scientific studies that cite this device. The Zenguard doesn’t appear to be developed by a physician and there’s no mention of it in any studies or publications. The ZenGuard does, however, sell for a fraction of the cost of the aveoTSD. (Aveo sells for $200+) Comparing the two side-by-side, it’s nearly impossible to tell the difference. The Pacifier TSD was released in August 2015. While it’s priced significantly lower than any other mouthpiece, I found the design of the Pacifier to be inferior in comparison to the other available TSD’s. With the Pacifier, the flange is too small and flat. The lack of curvature made it difficult to keep in place throughout the night. In comparison, I found the ZenGuard flange to be better designed which helps to keep it in place. The long body of the ZenGuard and the wings prevented it from falling out while asleep. The Good Morning Snore Solution is another TSD which I discovered several years ago. Since then, it has become one of two snoring mouthpieces that I use on a nightly basis ( SleepTight being the other). When my sinuses are clear, I typically go with the GMSS, otherwise, I choose the SleepTight due to the fact that it has an air hole which allows for mouth breathing. When comparing the ZenGuard to the GMSS, I found both to be effective at eliminating my snoring. They are both TSD’s and both perform the same task, although the design differs slightly from each other. After testing a product, I always offer my recommendation based on what I find. The ZenGuard passed the functionality test as it works as advertised. If you are interested in a TSD that is similar in style to the aveoTSD, the ZenGuard may be a good choice. If you have decided on a TSD and are trying to choose one, the ZenGuard is a product that lives up to its claims and is worth checking out. While Zenguard gets the job done, I’m still partial to the Good Morning Snore Solution which is competitively priced, made from a material that is thinner and offers a lower profile in comparison to the Zenguard. Check out the GMSS website and compare the two.